On March 7, 1951, Razmara went to a mosque for a memorial service. The police opened a corridor through the inner courtyard for the Prime Minister. The assassin, in the crowd, fired three quick shots, fatally wounding the Prime Minister. Khalil Tahmassebi, a member of the militant Islamic group Fadayan-e Islam, was arrested at the scene. Fadayan-e Islam supported the demands of the National Front, which held a minority of seats in Parliament, to nationalize the assets of the British Anglo-Iranian Oil Company. As Prime Minister, Razmara had convinced the majority that nationalization would be folly, but his assassination eliminated the sole voice powerful enough to oppose the demands of the National Front. The National Front was led by Dr. Mohammed Mossadegh, who became Prime Minister within two months of Razmara's assassination. However, control of the party was held by Ayatollah Seyid Abol Ghasim Kashani, the leader of the country's mullahs. Kashani, along with other National Frontists, defended the act as justified. 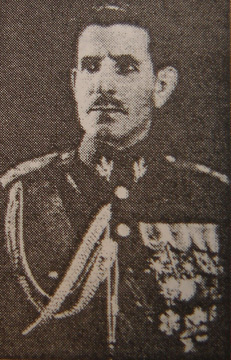 The National Front declared Prime Minister Ali Razmara an enemy of Islam and a traitor to Iran for his opposition to the terms of the Oil Nationalization Law.